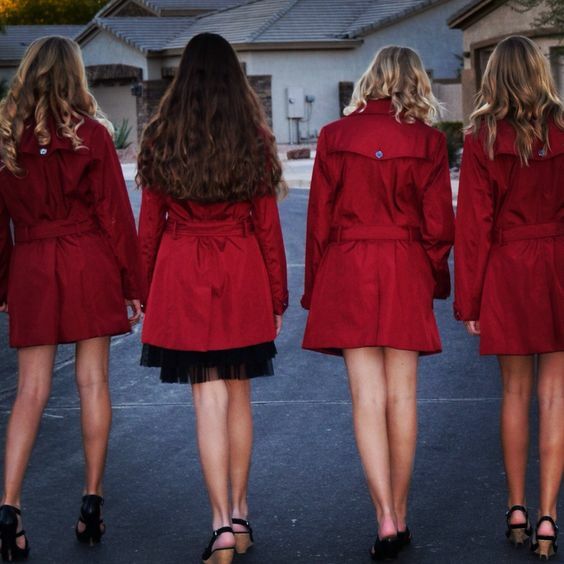 Dressing up for Halloween is undoubtedly fun, but doing so can take a lot of effort. If you’re feeling lazy this year, don’t let it stop you from going out and having a great night! 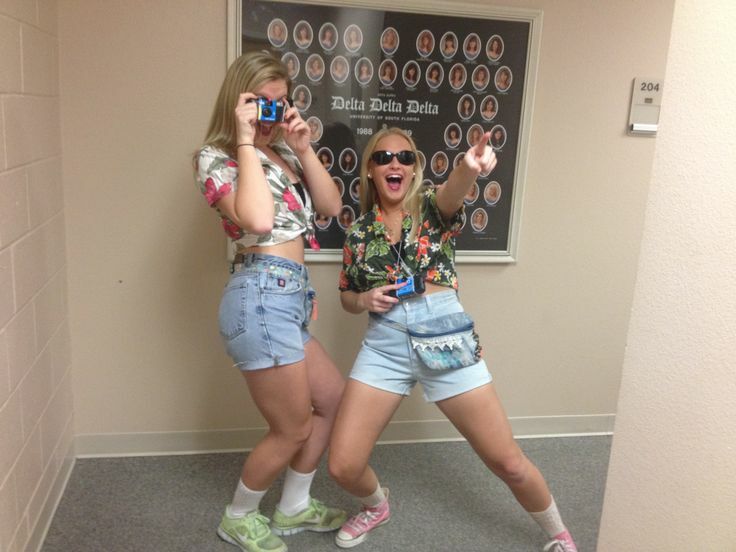 There are plenty of costumes that require nothing more than things you can find around your dorm, sorority house or apartment. Get ready to dig through your closets because we’ve got some of the best (and easiest!) costumes right here. While many people have dressed up as the twerk-crazy Miley Cyrus, it’s super easy to wear one of her everyday outfits as a costume. No matter what she’s wearing, it’s always full of color. Simply open up your closet, look for your brightest top and pair it with a non-matching skirt. Or head over to Goodwill and start hunting for '80s-inspired jackets, dresses, etc. Add a pair of sneakers and some crazy accessories, and you’re done! Don’t forget to stick your tongue out all night, too. With Hawaiian-themed parties always happening, you or one of your friends is bound to have a button up flower shirt. If not, these are easily found at Goodwill or other thrift shops! You’ll also need any combination of the following: a fanny pack, sunglasses, a visor, a map tucked into your waist and an old camera around your neck. By no means do you need all of these accessories, but if you can round up most of them by digging around your house, go for it! Did somebody say Pitch Perfect? This costume is super easy to piece together, and everyone will know what you’re referencing! For this outfit, grab a navy-colored fitted jacket or blazer and a white collared shirt to wear underneath. You’ll also need a navy skirt. The outfit is, of course, incomplete without the signature scarf tied around your neck, so grab a yellow or blue one. Wear any pair of short heels and your hair in a bun, and you’re officially a Bella. This costume is almost too easy to put together, and you’ll be comfortable all night. Find your favorite little white dress for the focus piece. You probably won't have a veil, but if you really want one, they’re cheap and easy to make. Throw on your sneakers, and for those ladies looking to go the extra distance, you can make a marathon bib with paper and markers. That’s pretty much it for this costume! 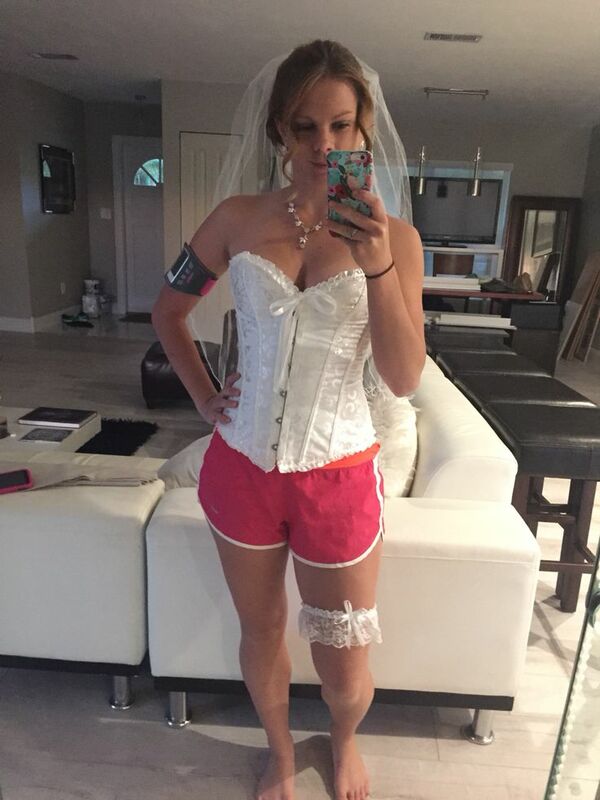 If you thought the runaway bride costume sounded easy, you’re going to love this one. Everything you need to be Mary Poppins can definitely be found somewhere among your belongings. For starters, you’ll need to pull your hair up—whether or not you want to add a black hat is up to you. Wear a crisp, white button-up, a black skirt and black tights. To make your costume a little more unique, you could add the red bow tie. You’re going to need Ms. Poppins' black umbrella and carry-all tote regardless, though! Due to her distinct, goth look, Lorde is the perfect simple Halloween costume. This one is especially fun because you can get creative with it! If there’s one part of Lorde's look you'll never see her without, it’s her dark lipstick. A maroon or wine colored shade is spot-on. She almost always wears black, so choose from an LBD or another dark outfit. Curl your hair to get that wild look, throw on some chunky black boots and voilà! 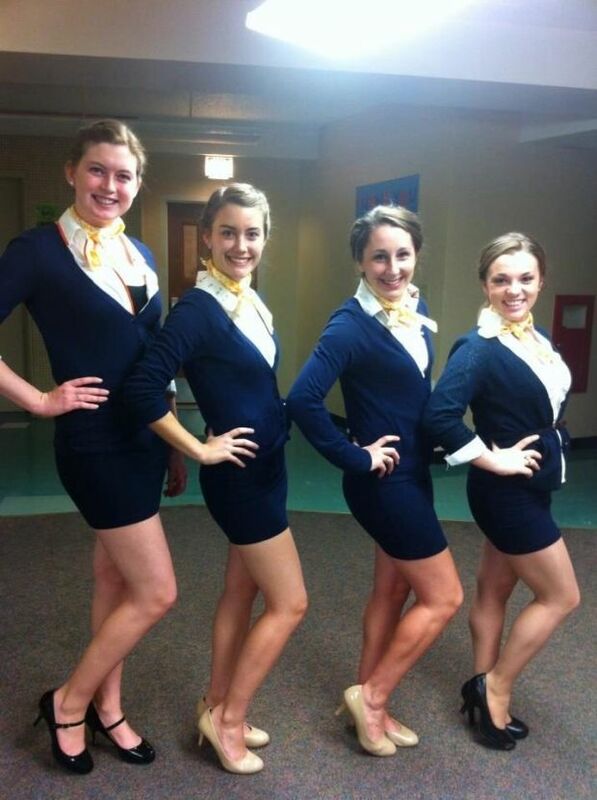 Who would’ve thought that Tom Cruise dancing in his underwear would become such a long-lasting collegiette costume tradition? Throw on a white button-up shirt that’s long enough to wear without pants. Be sure to have spandex or athletic shorts on underneath, though. Forget shoes—all you need are some mid-calf socks. Add in a pair of black sunglasses and get ready to slide into whatever party you’re going to. While you might be mistaken for a burglar, there’s no better way to pay tribute to one of the greatest shows ever. Black pants, a black hoodie, black gloves—that’s pretty much it. However, since we now know that (spoiler alert) CeCe is A, you can add little twists to make this costume more fun. For example, if you don’t already have blonde hair, use a wig! Curl your hair and add some red lipstick, too. To make this costume even more distinctive, you could use red masking tape and put an “A” on your back! We know you have a flower headband somewhere, so break it out and get ready to embrace your inner hippie! Though you can wear pretty much anything from places like Urban Outfitters, try to find something in your closet that’s full of fringe or decked out in flowers. A dress is ideal, but you could also wear printed flared pants or jeans. Your look won’t be complete without you throwing out a peace sign, so be sure to do so! Just when you thought you were going to stay in and watch scary movies while your friends had fun without you, you’ve been saved. These costumes require hardly any effort but are still super cute. Happy hunting!